Welcome to Musselman Library. 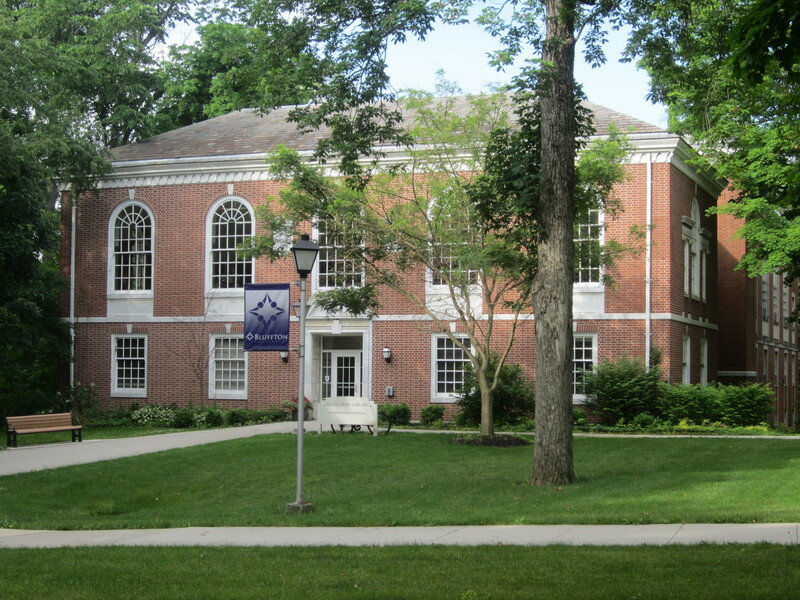 This guide is intended for first-year students at Bluffton University, or really for anyone who wants a quick introduction to the library. We like to think of this as the library in five minutes. The tabs along the top of this guide will take you to other pages, each addressing specific elements that we think are important to helping you understand the library. By definition, the information is very brief. However, there is much more to learn. For a deeper understanding, be in touch. We'd be happy to work with you further. The library’s website can be found at http://www.bluffton.edu/library/. Or go to the main Bluffton website at www.bluffton.edu, then point to the words Academic Life near the top of the screen. Choose Library from the drop-down list. Guide created by Paul L. Weaver.